Starling Bank has become the first mobile-only bank to offer everyday banking services with the Post Office. The move means Starling Bank’s personal and business customers will be able to access the huge Post Office branch network to deposit and withdraw cash – which could help small businesses and those uncomfortable about using a completely digital bank. Which? takes a look at what Starling Bank can offer and if a mobile-only bank with high street branches is really as good as it sounds. What does Starling Bank offer? 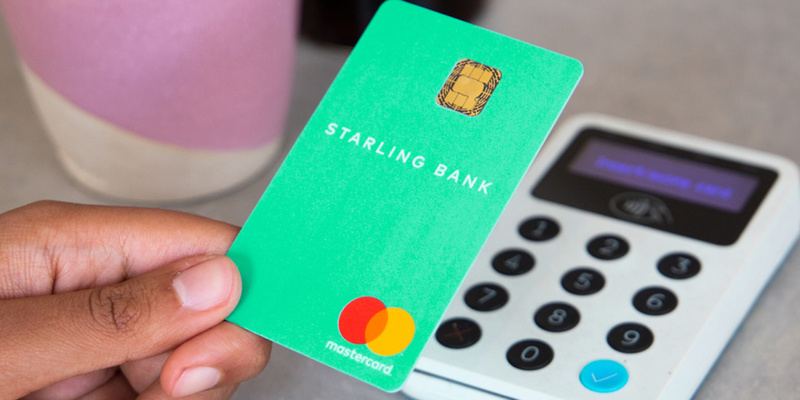 Starling Bank launched the UK’s first app-only current account in March 2017. It’s the only branchless bank to offer interest on current account balances. Users can earn 0.5% AER interest on balances up to £2,000 and 0.25% AER on balances over £2,000 up to £85,000. Customers also benefit from fee-free spending and cash withdrawals abroad. The account offers an overdraft of up to £5,000 which charges 15% EAR and you can also use part of your balance as a personal loan after you’ve made a purchase. Safety features include a unique vertical debit card that hides important information on the back and the ability to freeze your card through the app if it’s lost or stolen. You also get snazzy money-management features. The app sends real-time notifications when you spend so you can keep on top of your balance plus comes with tools to categorise spending, analyse habits and set goals. Like a traditional bank, you’ll get a sort code and account number, contactless debit card, protection on deposits up to £85,000 through the Financial Services Compensation Scheme and the option to open a joint bank account. So the only thing missing, some might say, is a branch and the ability to physically deposit money. But now that’s no longer a problem. What can Starling Bank customers do at the Post Office? If you’re a Starling Bank personal or business customer you can now make cash withdrawals, check your balance and pay in cash to your accounts. But there’s no option to pay in cheques. It’s free to deposit and withdraw cash if you’re a personal customer but business customers will have to pay a fee for these services. Business account customers will have to pay £3 per cash deposit or 0.3% on deposits over £1,000 to pay cash into their account. While to withdraw money over the counter business customers will have to pay 50p per withdrawal. The Post Office has more than 11,500 branches and it’s estimated that 99.7% of people in the UK live within three miles of their nearest branch. Last year, it handled 125m banking transactions. Who will benefit from the move? Which? research has shown that the decline of bank branches and ATMs impacts rural areas and there are 200 communities that are most at risk from decisions the big firms are making about the provision of banking services. Small businesses that deal with a lot of cash payments, as well as those wanting a more competitive bank account, could benefit from Starling Bank joining the Post Office for everyday banking services. The move from Starling Bank could also allow it to apply for a slice of the £425m fund available through the Royal Bank of Scotland (RBS) Alternative Remedies Package. This is meant to facilitate investment in business banking services, but there are strict criteria on which businesses are eligible and a key part of the criteria is the ability to take deposits. Who else can you bank with at the Post Office? Starling Bank joins a long list of other bank brands that offer banking services to its customers through the Post Office. Most branches will allow you to deposit cash, withdraw cash, check your balance, pay in cheques (with your bank’s paying in slip) and sometimes exchange foreign currency or old banknotes or coins. However, the services can vary from branch to branch so it’s worth checking what services you can actually access through your local Post Office before making the trip.